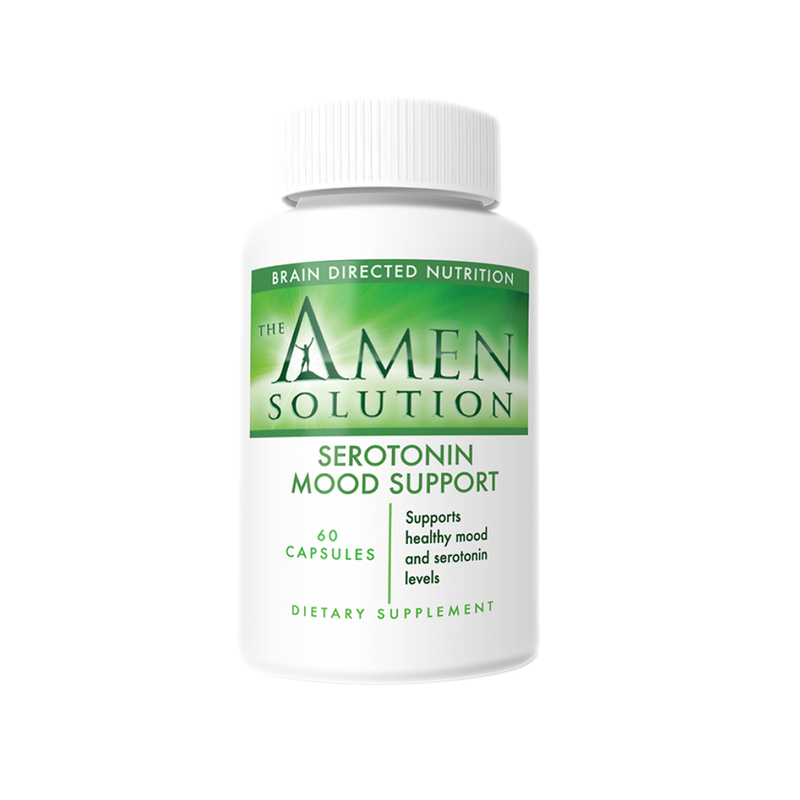 Serotonin Mood Support is Dr. Amen’s unique new formula that contains saffron extract and 5HTP. It helps to support normal serotonin levels by providing 5-HTP, a direct precursor to serotonin, along with a proprietary extract of Saffron, shown clinically to support a normal mood. Vitamin B6 and Inositol are included to provide additional synergistic support. Ingredients are provided at clinically tested levels to insure optimal benefit. As a dietary supplement, take one to two capsules of Dr. Amen’s Serotonin Mood Support twice daily or as directed by your healthcare professional. Satiereal® is a registered trademark of Nutraveris and is protected by patent WO 2007/125243 A1. Other Ingredients: Gelatin capsules (gelatin, water, glycerin), magnesium stearate, silicon dioxide and magnesium silicate. This product does not contain wheat, yeast, gluten, eggs, dairy, corn, artificial colors, flavors, sugars, or preservatives. STORE IN A COOL, DRY PLACE. KEEP OUT OF REACH OF CHILDREN. These statements have not been evaluated by the Food and Drug Administration. This product is not intended to diagnose, treat, cure, or prevent any disease.